Maybe the Chilcot Inquiry is going to focus on the timeline of events through the Iraq War so we can clarify who knew what and when, and this lies behind their detailed approach to the Bush/Blair decision making timeline but also the Blair/Cabinet information timeline - there is a compelling logic to this approach. Obstructing this is not the role of the Cabinet Secretary, let alone the Civil Service. The Lord Chancellor's role may have changed but the fact that Blair found it impossible to abolish the role is telling. He wanted Derry Irvine out to make way for Lord Falconer but thought up the ruse of abolition on the back of an envelope via a Minister of Justice. He then found there were too many legislative areas where we still needed the role. Overriding Chilcot and his fellow members is a crucial power. Parliament was told they would be made Privy Councillors; now they can be overridden by a person who was the closest civil servant to Blair, far closer than the Cabinet Secretary (admittedly David Manning the key diplomat was primarily dealing with the coming Iraq war) but it beggars belief that now as Cabinet Secretary the present incumbent can throw off his past. Maxwellisation is a PR device to bring Chilcot down more than a few pegs. If they put Bob before Maxwell we would all be laughing! The normal conventions simply do not apply. We went to war in 2003 and lost; our Army suffered possibly its greatest ever humiliation in Basra. This was only 12 years after a famous victory in 1991 over Kuwait and then in protecting the Kurds inside Iraq under Bush Snr and John Major. Chilcot and his colleagues should stand firm and not be bullied. The Lord Chancellor should only redact truly sensitive material that damages British interests. 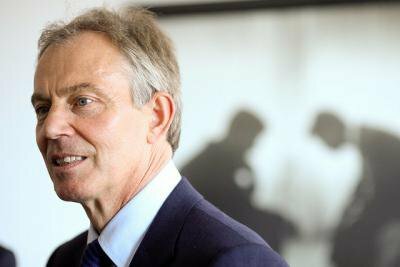 Blair's position is an intolerable affront to democratic accountability. He should be reminded that impeachment still stands despite not been used since Palmerston as the ultimate safeguard for the honour and reputation of Parliament and it still was judged recently as having "current validity' by the relevant Parliamentary Privilege Committee. The modern approach and better approach is the Chilcot Inquiry but it has to be seen to have the requisite powers. I have read your correspondence with Sir John Chilcot about the failure to agree the publication of documents requested by the members of the Iraq Inquiry. I am more than a little puzzled by the references to 'Maxwellisation'. Surely there can be no comparison with the Inquiry involving the late Robert Maxwell, apart from technical questions, of how people mentioned in the draft Report have the right to make representations to the Inquiry? The Iraq Inquiry involves a decision to declare war and from the moment it was established it was clear it would involve examination of international discussions between British Prime Ministers and US Presidents. If there is a precedent it is the inquiry held during the First World War to examine the Dardanelles. Sir Jeremy Heywood was Principal Private Secretary to Tony Blair in No 10 from 1999-2003, the very time when the decisions to go to war were being taken. I cannot believe that now as Cabinet Secretary he can be the arbiter as to whether documents should be published between Sir John Chilcot and Tony Blair. It is obvious that there are differences of opinion as Sir John writes in his letter to you that it is "regrettable that the Government and the Inquiry have not reached" an agreement. Who is the Government? You as Prime Minister? The Cabinet? Surely not for the reasons I have given, the Cabinet Secretary? I suggest you ask the Lord Chancellor to form a judgement on behalf of the Government as to what papers can be released. As you will know, the Lord Chancellor and his Advisory Council on National Records and Archives are already charged under the Public Records Act 1958 with deciding whether information should be withheld from publication after the expiry of the 30 year rule and this has been an acceptable mechanism to Parliament over the years.